Even in the “Drain the Swamp” era, America’s fiscal challenges have not abated. 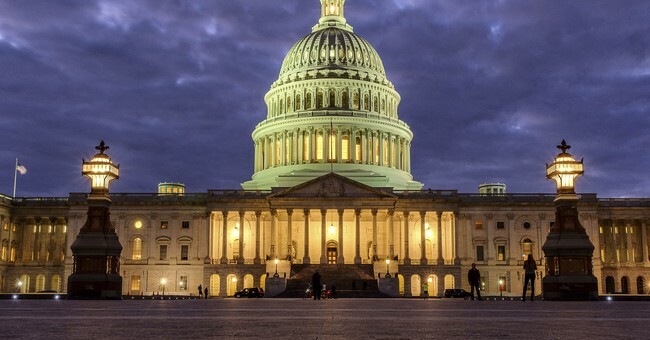 The nation’s budget is heading toward trillion-dollar deficits and the national debt has exceeded $21 trillion in 2018. To help chart a path out of this festering fiscal hole, Citizens Against Government Waste (CAGW) has released Prime Cuts 2018, a comprehensive account of options the federal government possesses to cut government waste, fraud, abuse, and mismanagement. No area of government spending is spared the knife in Prime Cuts 2018. For example, the report proposes eliminating the Market Access Program (MAP), which claims to help agricultural producers promote U.S. products overseas. However, MAP is actually a corporate welfare program that funnels millions of dollars to large, profitable corporations and trade associations that can easily afford to pay for their own ads. In FY 2018, MAP doled out millions to successful conglomerates like Blue Diamond, the California Prune Board, National Sunflower Association, Pet Food Institute, Sunkist Growers, Inc., USA Dry Pea and Lentil Council, and Welch Foods, Inc. Even Former President Obama proposed cutting MAP by 20 percent in his fiscal year (FY) 2012 budget. Eliminating MAP would save taxpayers nearly $1 billion over five years. Another example of bipartisan cuts are the Community Development Block Grants (CDBGs). These grants were created in 1974 with the intent of revitalizing low-income areas in cities across the country. However, the CDBG formula for eligibility does not take a community’s average income into account. As a result, several wealthy cities with robust tax bases, such as Greenwich, Connecticut, have received CDBG dollars. A September 2012 Government Accountability Office report found that “some cities with higher unemployment rates received less funding per unemployed person than other cities with lower unemployment rates.” Former President Obama recommended reducing CDBG funding because “the demonstration of outcomes [is] difficult to measure and evaluate,” and President Trump’s FY 2018 and 2019 budgets included the elimination of the entire CDBG program. Prime Cuts 2018 recommendations also include long-standing proposals to eliminate the sugar, dairy, and peanut programs; reduce Medicare improper payments by 50 percent; and, increase the use of software asset management tools in every federal agency. Taxpayers should be comforted to know that in such a large and complicated government, it is possible to identify and eliminate waste. Action on even a small percentage of these recommendations would save taxpayers hundreds of millions. Every taxpayer dollar is sacred and should be treated as such by Congress and the executive branch. Prime Cuts 2018 gives them the blueprint to accomplish that goal.